Amphibians, which is a term derived from an ancient Greek word that means “both kinds of life,” is the general classification of animals to which newts and salamanders belong. While newts and salamanders share many similarities, including the fact that they both belong to the order Cuadata, there are a few key differences between these two amphibians. Newts are a type of salamander. Throughout its life, a newt undergoes three stages: an aquatic larva, a terrestrial juvenile stage (where it is referred to as an “eft”), and an adult stage. Of the three orders of class Amphibia, salamanders belong to Cuadata, which is composed of nine families, 60 genera, and around 600 species. Newts are one of the species of salamanders, which also includes Congo eels, mudpuppies, and sirens. Newts are salamanders that fall under the following genera: Triturus, Taricha, Cynops, Neurergus, Echinotriton, Euproctus, Pachytriton, Notophthalmus, Pleurodeles, Tylototriton, and Paramesotriton. “True salamanders” fall under the Salamandra, Mertensiella, and Chioglossa genera. Some newt species live on both land and in water while others live exclusively in water. Salamanders live in various habitats but most species need to keep their skin moist. They also have offspring in water so they need to be constantly near a water source. Newts come in a variety of sizes, but they are usually smaller than 8 inches or 20 centimeters. With hundreds of species, salamanders come in an even greater variety of sizes. The largest species, which is the Japanese giant salamander can grow up to 1.8 meters of 6 feet while the smallest, which is the Thoriusarboreus can be as small as 1.7 cm or 0.6 inch. Most species, however, are around 16 cm or 6 inches long. Newts have bodies that are lizard-shaped. They often have four legs and long tails. Some aquatic species have webbed feet and paddle-like tails. Their skin, which is often rough and coarse, are typically brighter in color to ward off predators. The physical characteristics of salamanders are quite diverse. Some have four legs while some have two. They usually have long tails. Their skin is typically moist and often smooth. When threatened, some newt species excrete toxins through their skin. Some salamanders can drop their tails to ward off a predator. Some newt species are diurnal while some are nocturnal. Most salamanders are nocturnal or are active during cool times of the day. Many newts can regenerate fully functioning limbs and some internal organs. Many salamander species can regenerate their tails. Newts are one of the 600 species of salamanders. Thus, while all newts are salamanders, not all salamanders are newts. The major distinction between these two amphibians lies on how they are classified. While newts belong to the Triturus, Taricha, Cynops, Neurergus, Echinotriton, Euproctus, Pachytriton, Notophthalmus, Pleurodeles, Tylototriton, and Paramesotriton genera, true salamanders belong to the Salamandra, Mertensiella, and Chioglossagenera. Wendi Garcia. "Difference between Newt and Salamander." DifferenceBetween.net. November 9, 2017 < http://www.differencebetween.net/science/nature/difference-between-newt-and-salamander/ >. Newts are not “one of the species of salamander” as the third paragraph of this article states. 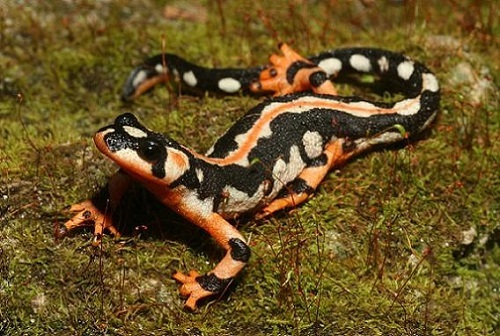 Newts are an entire subfamily of salamander called Pleurodelinae. The term “species” is the narrowest taxonomic division (excepting subspecies). For example, the rough-skinned newt is a species. Heimbuch, Jaymi. “What’s the difference between a salamander and a newt?” Mother Nature Network. 6 Mar. 2017. Web. 29 Oct. 2017. Bradford, Alina. 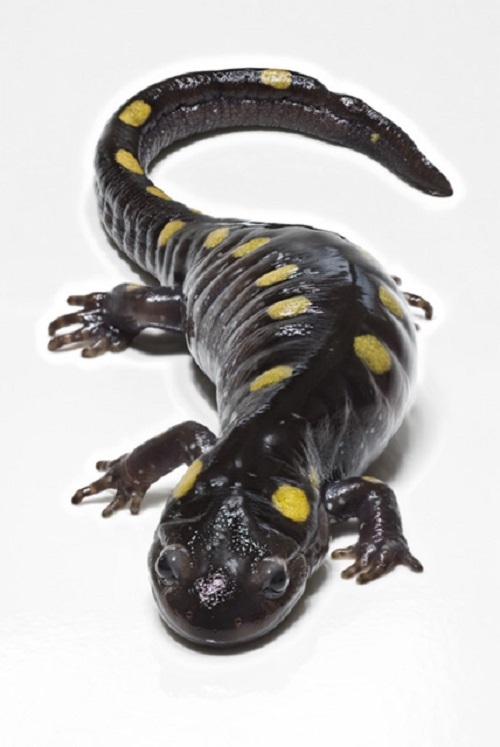 “Facts about Salamanders.” LiveScience. 29 Oct. 2015. Web. 29 Oct. 2017. Bradford, Alina. “Facts about Newts.” Live Science. 23 Mar. 2017. Web. 29 Oct. 2017.